This website has been designed for you to learn about Disney World. Our aim is to give you a brief description of the main attractions you will find if you go to Disney, and the different options that are opened for parents and children. 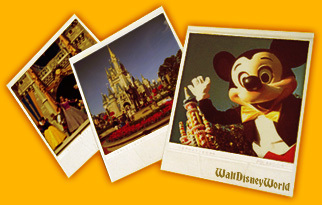 This site is focused on Disney’s four Theme Parks: Magic Kingdom, Epcot, MGM Studios and Animal Kingdom. We consider that people who want to travel to these parks need to be familiar with what they offer so that they can make the most of their stay. If you are familiar with what each attraction is you will save time and go to those games and spectaculars that call your attention or that you find more interesting. Although Disney’s style is kept in all its parks, each of them has distinctive characteristics. While Animal Kingdom is decorated to simulate a jungle and make you feel as if you were in a constant safari, MGM Studios is showbiz at its best. It is a park where TV fun and the best of Broadway come together. The other two Theme Parks are also distinctive. While Magic Kingdom invites visitors to step into a world of fantasy, Epcot has a section where it is possible to become familiar with the customs and sights of different countries which are real and not part of a magic world. Disney is so big and it offers such a wide range of options that visitors enjoy it more if their trip is planned in advance. It is important that if you plan to holiday in Disney for a short period of time, you have an idea of the options offered by each park so that you can choose which one to visit first and which one to visit longest. For that reason, we have created a site on which you find information on each park’s attractions and options. On this site there is also a section dedicated to the different accommodation options that you will find in Disney. We mention Disney’s main resorts, theme hotels and other more economical options. We consider that in order to make the most of your stay and be comfortable you have to be familiar not only with parks´ attractions but also with the different accommodation options. Notice that the place you stay in is very important for you to relax, eat and sleep well after an exiting day in Disneyland’s parks.